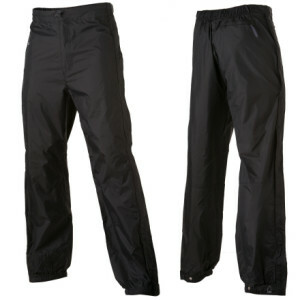 These men's rain pants in a short length are ideal for backpackers hiking in inclement weather. 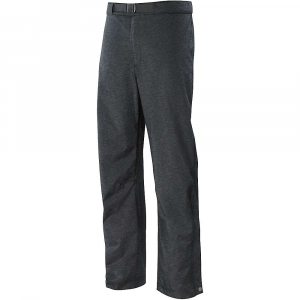 The Sierra Designs Men's Hurricane Full Zip Rain Pant features a lightweight, waterproof/breathable design, which provides comfortable shelter from rainiest and nastiest conditions. Two-layers of waterproof/breathable coating on a nylon fabric and fully taped seams stop moisture in its tracks. Sweaty moisture vapors escape through Sierra Designs' breathable Hurricane fabric-eliminating uncomfortable clammy leg syndrome as you hike. 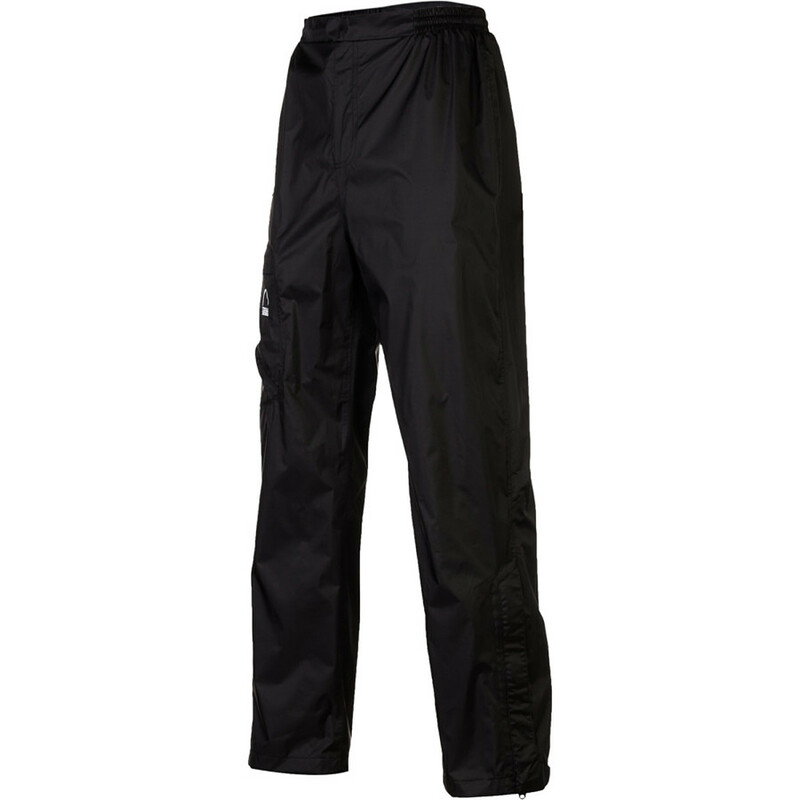 These lightweight rain pants take up little room in your backpack or luggage for easy traveling. 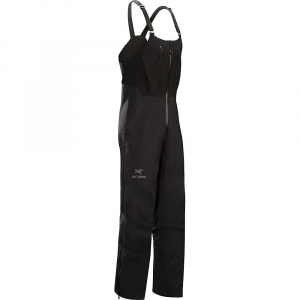 The Hurricane Full Zip Rain Pant's ankle zippers make it easy to slip on the pants while wearing your shoes or boots and release pent up heat when you really need to cool off. 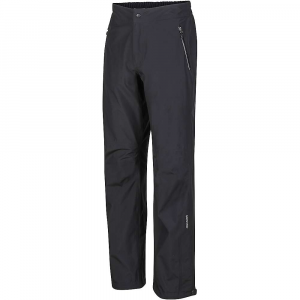 The Sierra Design Hurricane Full Zip Pants for Men pull on quickly, whether you're wearing bulky hiking boots or even skis. Sierra Design builds these out of two-layer waterproof-breathable Hurricane fabric - it's durable, jjlightweight, reliable, and packs down small. 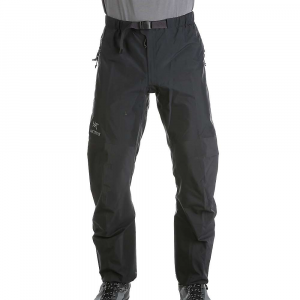 The dry PU coating keeps the Hurricane Pant from feeling clammy and details like adjustable Velcro closures at the waist and full seam taping mean the Hurricane Full Zip offers exceptional performance. The Hurricane Full Zip Pant has been discontinued. 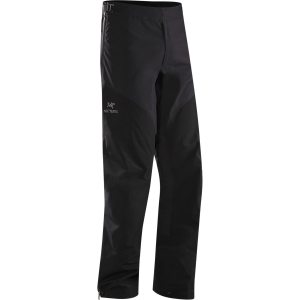 The Sierra Designs Hurricane Full Zip Pant is not available from the stores we monitor. It was last seen October 21, 2015	at REI.